In 2011 her novel, Spitfire Girls, was optioned to be made into a television series by Sally Head Productions. 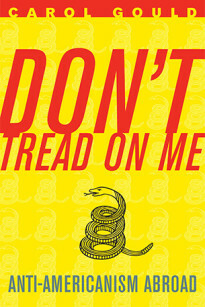 Her other book is Don’t Tread on me –anti-Americanism Abroad. She has written feature and comment articles for ‘The Guardian,’ ‘Telegraph Online’ and the ‘Jewish Chronicle’ as well as for SheKows.com, The American magazine, National review Online, Pajamas Media and Front Page. In the 2000s she produced and directed seven feature-length documentaries for Creative Images, Media Co-op and Ruby Pictures. Her feature documentary about Israel after the death of Rabin, ‘Long Night’s Journey Into Day,’ was premiered at the 1997 Berlin Festival. For over a decade 1981 to 1992 Carol was Commissioning Editor for JE Entertainment (later EnDeMol) and for the ITV network/PBS at Anglia Drama and her credits included six six-hour PD James novels; thrillers by Eric Ambler including the film for television ‘The Care of Time’ starring Michael Brandon and Christopher Lee; ‘Cause Celebre’ by Terence Rattigan starring Helen Mirren and David Suchet and many other single plays and series. In this post she was a Royal Television Society award nominee. Sacha Gervasi came to intern with Carol in 1991 and she is so proud that he has gone on to enormous success with ‘The Big Tease;’ ‘Terminal;’ ‘Anvil — the Story of Anvil’ and ‘Hitchcock.’ She is a Phi Beta Kappa graduate of Temple University Philadelphia and a Life Member of the US Army Association and of Disabled American Veterans Auxiliary. She is also a member of BAFTA (British Academy of Film and Television Arts) and National Press Club Washington DC. Don’t Tread on Me is Carol Gould’s journey through the astonishing world of British and European anti-Americanism. From Yanks being spat on, to other acts, the level of US-bashing has evolved into something more than just Bush-hatred.